Auckland-based sound artist Rachel Shearer has a history of influential music groups under her belt including Angelhead, Queen Meanie Puss and her solo Lovely Midget project (releasing records via such pivotal labels as Xpressway, Siltbreeze, Ecstatic Peace!, Corpus Hermeticum and more). 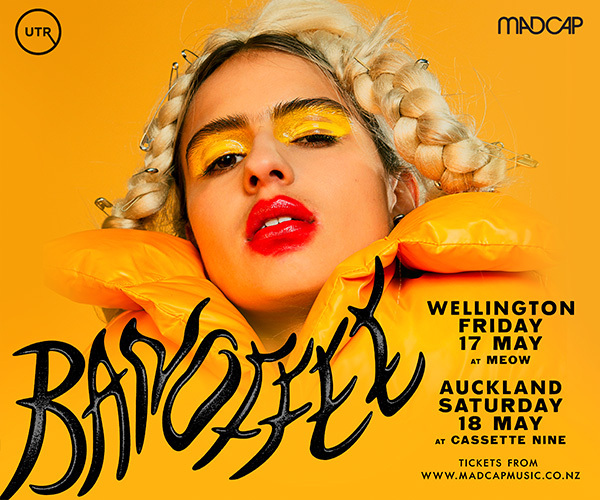 Shearer has since developed a public sound art installation practice with a number of long term installation works dotted around Auckland, and continues to perform live under her own name. Shearer is currently exhibiting her audio/visual work Fakerie at the Audio Foundation throughout September. Thanks to Rachel Shearer for taking time out to answer these questions. Could you please talk about your work 'Fakerie'; an exhibition at the Audio Foundation until 28 September? 'Fakerie' was made in 2005. It was an experiment in providing meditative visuals that would help focusing on the details of the sound composition. It has been a 4 audio channel sound installation at Stark White Gallery in Auckland and at in La Casa Encendida Madrid, Spain, performed live at Artspace in Sydney and released as a DVD on US label Family Vineyard in 2009. You're known both as a live performer and as a sound installation artist (and film maker) – it's a bit of a big question but do you approach performance/installation as different 'forms' or 'mediums' to engage with? How different is your approach when working in performance in comparison to your installation practice? I think of it as working with sound over different practices, each area overlaps considerably but each have their particular charms and challenges. If I’m recording/performing experimental music I’m focusing on the texture and configuration of sounds. When I make music and sounds for film, it's a collaborative process of trying to enhance an image or narrative or idea. When I work with sound installed as sculpture the sounds are tailored to the space they will be exhibited in much more closely. I really enjoyed your last performance at the AF w/ Rosy Parlane and Sean O'Reilly – could you explain what you were doing in that show? To me the high resolution sounds and processed vocals came across as somewhat 'cinematic' but I suspect that might be a contentious term? That show was a test for passages of sounds I am developing for a series of sound installations. These sound installations will consist of multiple speakers in a space that perform my compositions in a type of 3d cinematic experience without the visuals. I like the idea that you can organise sound in a similar way to organizing moving image material - instead the visualizing comes from the audience's reading of the sound. Without being anchored by a screen you’re much freer as to how you might move sound around a space. Does your live performance have an improvisation element? How planned out are things in advance? I tend to have a number of ready made elements organized into groups that I can re-shuffle, bring in and out with volume, put effects on, with a general overall plan. For example, one plan might be I’ll work my way into a quiet, dark but audible space with the sounds from group one and then start introducing group two sounds that will make the quiet dark space start to break apart – whether the groups of sounds are introduced quickly or slowly depends on how the performance is going. Issues like there being no sub-woofer can change completely how a piece is presented/performed and so in that situation I would combine the ‘elements’ completely differently. I like to think I’m flexible enough to respond to the individual situation. An imperfect simulacrum of a perfect plan. Could you talk about your artistic trajectory from being involved in groups such as Queen Meanie Puss and solo as Lovely Midget up to the present day? Queen Meanie Puss led on from an earlier group called Angelhead. Angelhead was based in early ‘Xpressway’ era Port Chalmers, Dunedin. The culture there was very influential on my decision to commit myself to experimental music. 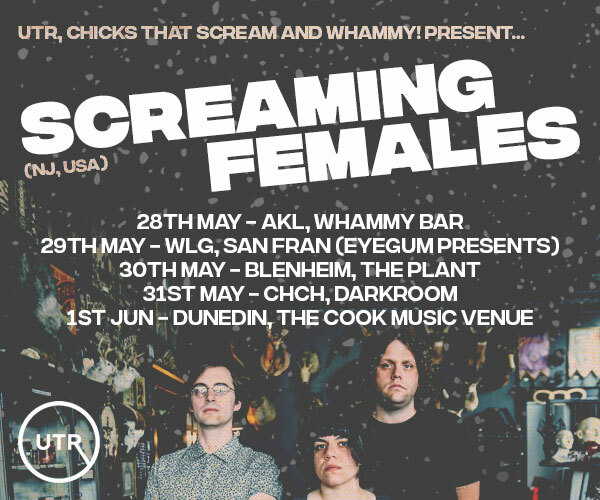 In Auckland Stella Corkery, Deborah Hindin and I re-formed minus Michael Morley, added Dieneke Jensen and became Queen Meanie Puss, an all female post- rock band that put out records with Flying Nun and US label Siltbreeze. We had drums, bass and two guitars. I roared a bit. Somewhere in the 90’s I stopped feeling like roaring and I went to Germany and learnt some sound engineering skills. It was during that time I separated sound from music through realizing that sound was this physical entity that could be controlled and shaped (to a certain extent). Learning sound engineering also meant that I had the power of producing my own recordings. Lovely Midget was the name I used for the work of this era of production. Since then I grew out of the name Lovely Midget through my practice developing into another stage. Now I just use my own name. Could you please talk about your installation practice – where can people experience your work? What challenges are involved in making public sound work that runs continuously? In the last few years I’ve made a number of public sound works. There are two currently active. One called ‘Imperceptible Degrees’ is up a Queensland Kauri tree at the top of the pathway off Wellesley St, near the band rotunda in Albert Park, Auckland City. The work is solar powered, and is activated by daylight. The sounds are heightened elements of what is already there but also taps into a pre-colonial/geological narrative. Electronics behaving organically. There are silences built into the sequence so you chance upon it like you might happen to spot an unusual bird. Its there until 2015. I also have a permanent sound installation called ‘The Flooded Mirror’ on the Wynyard Quarter, Auckland Waterfront, at the base of Te Wero Bridge (the bridge that opens up) on the Marine Events Centre side. The sound comes up through slots from under the wooden deck. This work uses the length of the tide – 6 hours and 10 mins as the duration of a cycle of audio ‘images’ that refer to a transformation of material flows of that site. It has timer so it plays from 8am – 10pm. Ideally it would play through the night also as that would be a good time to listen to it - maybe that might get to happen in the future. It's a challenge putting sound in urban spaces where there is already plenty of noise – especially since the installation needs to work over a long period of time (permanent!) for different types of people. I needed to find a balance of the work being audible but discrete so that the work is there for those who listen. Plenty of people miss it as they are talking as they pass over it or have headphones on. I would love to turn it up loud at times but then it would probably not have a long life in the space as people would tire of it. It is nice that people discover it for themselves and then listen out for it each time they’re there. I have had the good fortune to work with an electrical engineer, Mike Diack, whose creative technical expertise mean all my public installation plans work.